In August 2017, Rare Philippines hosted a behavioral insights field immersion and learning exchange, bringing leading experts in behavioral research and design into the field, and connecting them with conservation practitioners working to protect marine habitats and the communities that depend on them. 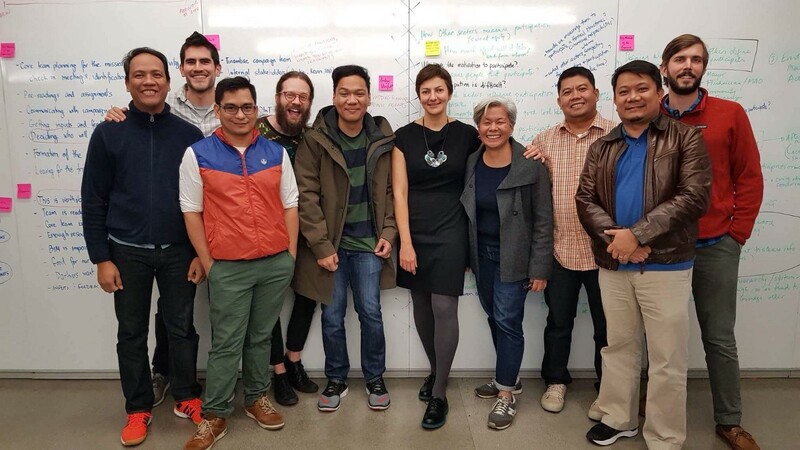 Stanford d.school Executive Director, Sarah Stein Greenberg (right), participate in a Rare-sponsored learning exchange in the Philippines. The week-long experience preceded the launch of Rare’s Center for Behavior & the Environment, which is committed to bridging the divide between theory and practice. Now, it was time to bring the field into the lab. 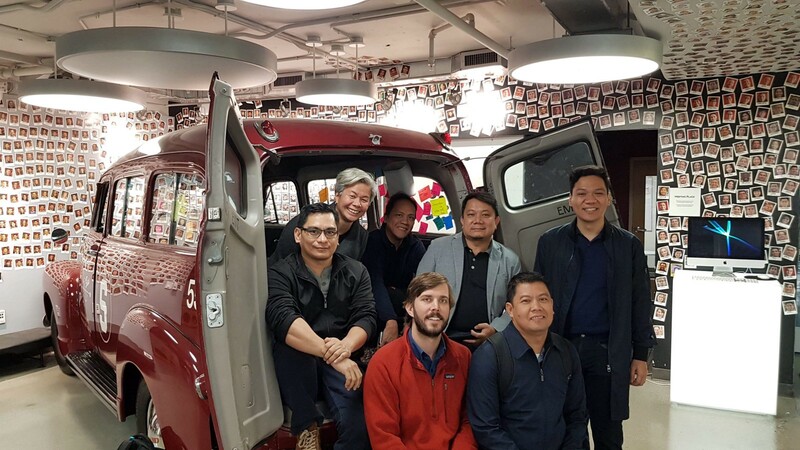 Rare’s Center for Behavior & the Environment, along with staff from Rare’s Philippines team, recently spent five days with the Stanford d. school, exploring the potential for design thinking to help implement Rare’s coastal fisheries reform program. What tools and techniques could offer creative new ways to address some of the biggest challenges of the organization — from changing fishers’ behavior to designing approaches for scale? 1. An introduction to design thinking, also known as human-centered design. 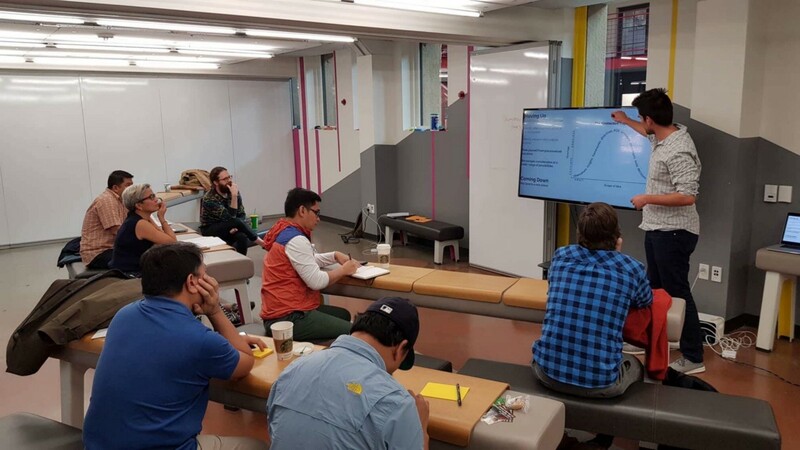 By working on a non-fisheries design challenge (earthquake preparedness in San Francisco) the team learned the nuts and bolts of design thinking, especially emphasizing the concept of putting users at the center and looking at the human aspects of the problem. This was not a surprise for Rare staff, considering the focus on behavior change, but the exercise provided plenty of insightful moments. One big revelation was the process of separating idea-generation from decision-making, and ensuring sufficient space in the middle for new ideas. Another really important part of the week for the team was embracing ‘How-Might-We’ as a new framework to brainstorm a problem and inspire an array of meaningful ideas. 2. Applying design thinking to coastal fishery reform. Rare staff got the chance to conceptualize the use of design thinking for actual programmatic questions, such as how to get more fishers to participate in conservation, or how to design financial literacy programs. They discussed how design thinking is applied to policy questions, or to the design of new teaching and engagement tools. The team practiced new abilities, like synthesizing information to identify patterns and connections and form insights, and moving between concrete and abstract in order to take an idea and make it into something real. They also came back with a deeper appreciation for some tools that are already in use, like empathy maps to help understand the needs of fishers. A new mantra: when a tool doesn’t exist for learning something, make one. 3. Building a team with a design-thinking mindset. Rare staff learned that design thinking calls for the 3 As: Approaches, Abilities and Attitudes. Staff went through an exercise to understand why each of them work at Rare, and what are the values they wish to hold onto as they scale their work. While discussing differences in styles, they also built common norms and language to help navigate those differences. 4. Design thinking in action: the design for extreme affordability class. 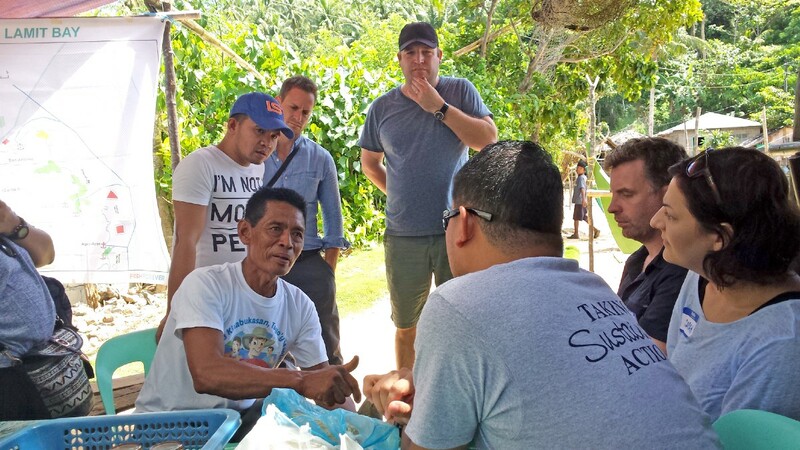 Last year, Rare Philippines entered into a partnership with one of the d.school’s classes: Design for Extreme Affordability, and agreed to host two teams of students to work on problems in the field related to the coastal fisheries work. The timing worked out perfectly, as the team was able to catch the first presentation on early research and trip plans. Rare staff were able to witness first-hand how the approaches they were learning worked on specific design problems: how to maximize fish value, and how the need for ice at sites to keep fish cool could actually be an opportunity for an alternative source of income. It was inspiring for the team to see how the d. school students literally created their own small studios, where they work on real design challenges in partnership with Rare! 2. Slow down the process between problem and solution in order to make room for innovation. Both of these are significant for Rare, which uses the best science available on human behavior to design conservation solutions. But the principals of behavioral science only get us so far; we must also have the ability and the framework for navigating that cumbersome body of science to prioritize what matters most and to apply those principle to a specific audience or set of users. This is why design thinking is a critical tool to help wield the powers of behavioral science in the most effective way to achieve Rare’s mission and the goals of the communities in which we work. If you want to learn more about design thinking, visit https://dschool.stanford.edu/resources/. Learn more about Rare’s Center for Behavior & the Environment at rare.org/center and subscribe to the Center’s “Behavior Beat” newsletter here.